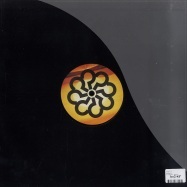 long time is it balearic artist max essa returns with two warm weather bombs. first up is mekko sekko an early evening shuffler full of all max’s trademark sounds subtly charming the most horizontal listener onto the dancefloor. top post sunset shuffler. craig bratley pumps up the bass sounds and drops an lovely vocal accent. we love this remix at iib a real fav. reminiscent of an early doors flying track the b-side is the stand alone track aestival a beautifully evocative journey from chilled out bliss do chuggy dancefloor grooving done as only max can do. great to have him back. 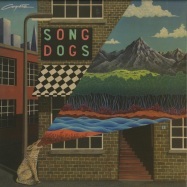 coyote s release their 4th album song dogs. 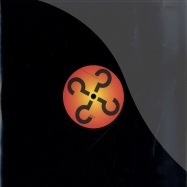 7 tracks of percussive elecronic mediterranea. opening side 1 is jamon y quesa and chuggy bass driven soundtrack to an early afternoon drive through dusty scrubland to the beach. 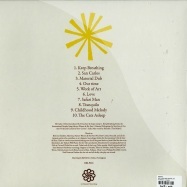 track 2 natural way is a mellow meditation on becoming a clear thinking wise man. track 3 falling leaves conjurs up lazy moments taking the time to appreciate the beauty the simple things around us. side 2 close with the haunting and soothing herbal remedy side 2 opens with tanits groove a beautiful balearic homage to the godess tanit the warrior goddess of dance, fertility, creation and destruction. the protector goddess of ibiza. featuring the guitar of long time coyote collaborator saro tribastone. track 2 no time to play is a powerful uplifting elecronic groove to welcome a sunrise, i feel the vibration finally the album closes with cala conta sunset. an ambient memory of a brief monent in time on the cliffs of cala conta watching then sun set into the mediterranean sea. two of the uks finest underground labels join forces and share their talent on this killer 12inch. from iib we have coyote s sin distracciounes, an upbeat sunkissed dancefloor meditation featuring the blissed out flamenco guitar of long time collaborator saro tribastone. futurboogies christophe remixes and chops up the guitar and adds some gypsymenesque organ stabs and layers of keys. futureboogies felix dickinson and jamie read drop the funky guitar heavy restless people. sublime chugging beats and a beautiful vocal refrain imploring slow it down creating a laidback house monster. iibs max essa puts his remix right in the middle of the dancefloor with straight up house vibes and extra percussion. max essa returns to is it balearic..? home to some of his more balearic moments most notably the epic panorama suite. the a side is dovodah! which begins with some nu-med atmospheres and acoustic guitar conjuring up 80s italian beach parties. the loose percussion and a heartfelt vocal (calling the unmistakable sound of dovodah!) carry you along before dropping into an early 90s italian progressive vibe. genuinely a real post sunset bomb. 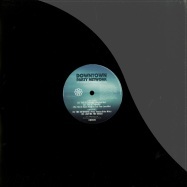 downtown party network from lithuania have been behind some serious releases and remixes over the last few years. combining disco influences with a knack for crafting weighty and warm deep house of the highest order… for their iib debut they have produced a duo of dreamy, melodic and irresistable vocal house gems which stand tall in their own right. as ever, the iib team have drafted in some seriously heavyweight remixers. 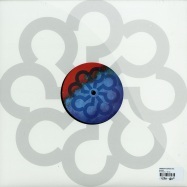 veteran uk producer richard norris aka the time & space machine has delivered a truly superb rework of >the returning<. bringing the live elements of the track to the fore and unleashing a dazzling eyes closed on the dancefloor moment, and a bit of a classic in our humble opinion! finally scandanavian disco legend prins thomas takes on the same track and transforms it into an epic, spacious mix, underpinned by a widescreen acid bass and relentless, building groove. 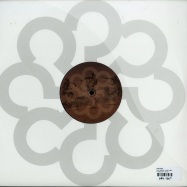 is it balearic continue to provide a steady supply of killer 12 inches! 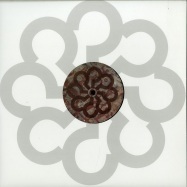 next release from is it balearic..? comes courtesy of basels nu disco wizards pharoa black magic. the track amulet features the vocal talents of peter coyle of the lotus eaters. this is a mid tempo mellow electronic/balearic pop groove. 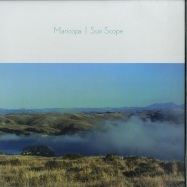 beautifully produced to create a sublime understated sunshine anthem. top drawer remixers are present and correct as always: begin takes the original and creates a deep balearic groove with marimbas and soft synth melodies. 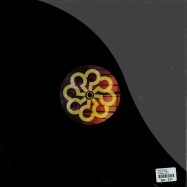 reverso 68 add trademark arpeggios and dance it up a touch whilst original balearic pioneer steve proctor rearranges the track into a big chugging acid disco groove. 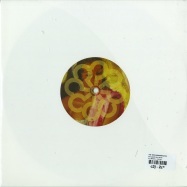 the onset of autumn brings this new release from is it balearic..? recordings head boys coyote. featuring the vocal and lyrical talents of gavin gordon, a madrid based singer songwriter who has previously worked with mock and toof. 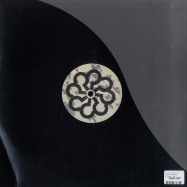 minamoto is the tale of a 12th century samurai beautifully laid over a heavily percussive and slightly psychedelic disco groove. 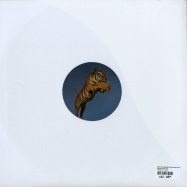 for the remixes, dj steef creates a more dubbed out 4/4 bouncy synth affair. the hardway bros concoct a proper mid-tempo acid house workout fitting for all the more discerning dancefloors. 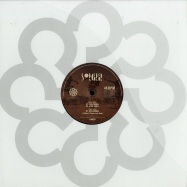 the third remix from shocks is a reverb heavy breakbeat trip into the darker side of hypnotic balearic/cosmic beats. 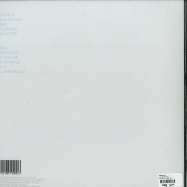 there is also a bonus track el sueno oscuro a beautifully evocative solo flamenco guitar track by gavin gordon. man-of-the-moment tiagos new project i-boat captain arrives on is it balearic..? recordings! >slower< is a beautifully smooth & laid back synth journey with added guitar melodies weaving a web of eastern influence while dipping its toes into subtly psychedelic waters. this is sunshine grooving at its best. 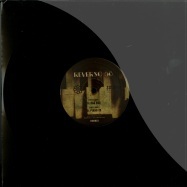 the backwoods (dj kent) turn in a truly mesmerising remix. 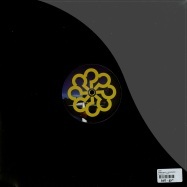 hypnotic and dreamy but with added 4/4 kick, this is mellow acid house done exceptionally well. is it balearic follow up the monumental >panorama suite< from max essa with an allstar remixed package from portugals acclaimed s.d.c peaceful warrior is a laid back house groove in the style of don carlos >mediterranea/alone< this has winter sunshine dripping all over mellow flutes and synths and a jazzy funky guitar lick before dropping a little acid - beautifully constructed nu-med house. 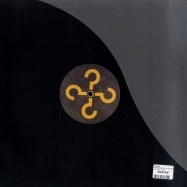 on the remix basles up and coming nu-disco upstarts pharoah black magic transform this into a eurodisco style dancefloor bomb along the lines of aeroplane and tensnake. 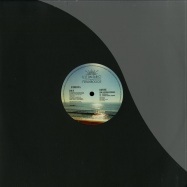 soft rocks ft lovefingers jesus convention remix create of krautesque acid balearic chugger of immense proportions -very special. finally las finest alchemists pacific horizons weave their magic and produce an epic version with new bass and piano whilst accentuating the acid line. atmosphere galore and an all round top package!! craig christon and bonar bradberry team up as before christ for this essential slice of brooding party fuel, leading in with the trippy, otherworldly tones of barry s k. from the grinding pulse of the analogue bassline to the mystical keys, it s the consummate astral traveler for djs exploring the outer realms of the dancefloor. mushroom project gently rub more spaced out elements into the original, injecting a little light and letting the hits linger for longer in the ample space of their killer version. tuesday club finds before christ turning to a more sharp-edged rhythmic palette without losing the hypnotic qualities of their sound, before mushroom project return to lay down a rubbery 303 bassline that fits right in amongst the raw drum hits and dense fx processing. is it balearic? welcome the mellow charms of chris coco and camillo miranda to lay down an unusual paean to a prehistoric love with the truly breezy drifter dinosaur baby. while the tale might be a quirky one, the music is the real deal, all tumbling percussion locked into a slow, head-nodding groove, and this comes through even stronger on the 12inch dub. on the flip, rune lindbaek delivers a remix that fleshes the original out with laconic disco flourihes, and then luke solomons version injects a little housey energy into the make up with his usual flair for off-kilter party fuel. 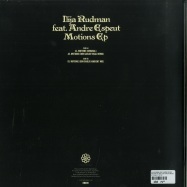 ilija rudman returns to iib with a new track motions feat the vocasl of andre espeut. a chuggy balearic house groover set to get us believing summer is just round the corner. the legend that is don carlos also returns to iib to deliver two stunning remixes. 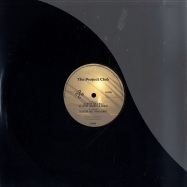 the full on club vocal remix and the sublime deeper take on the ambient mix. having cruised around labels such as la luna, tusk wax and most tellingly back to the balearics, maricopa has already left a trail of smooth-sailing breadcrumbs behind him, and now he drops anchor in a harbour which may yet prove to be his spiritual home. is it balearic? is a question that hardly needs to be asked when you re drifting out to sea on the blissful tones of benthos or reveling in the expressive ripples of deer, but it s safe to say these jams would go down smooth with a mediterranean sunset and an aperol spritz. 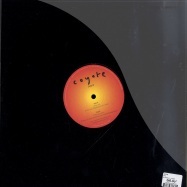 is it balearic celebrate their 10th birthday this year and this new release sees them continue the series of coyote ep s that started the label. ep 7 is an uptempo 4 tracker that opens with deep italian,a deep nu-med house groove reminiscent of a trip to rimini dancefloors of the early 90 s. fresh hope delves into the mellow house vibration too. long board is soft detroit inspired shuffler with touches of acid. take me back carries on the theme of uptempo sunshine shufflers. gentle melodies over classic 808 drums. all 4 tracks headed straight out on the floor. 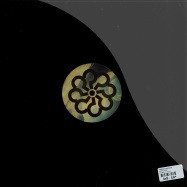 is it balearic releases a debut ep from clandestino s joe morris. 4 tracks of lush electronic grooves. 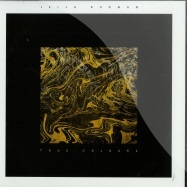 the title track golden tides is a mid tempo houser with beautiful pads and soft arpeggios. late afternoon sundowner vibrations. the second track bayou has touches of sueno latino about it, an afterdark evocative tropical house trip. on the flip the first track light of the moon is a more reflective slo mo affair. warm pads and 808 sounds melting into cicadas. finally we come to mpondo theme. sounds of nature kalimba and loose percussion all sit together and watch the sun dip over the savannah horizon. a proper ep this covering all shades. 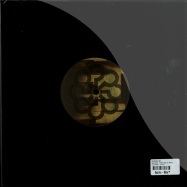 iib next release comes from french duo baptiste & pierre. 2 tracks of warm tropical goodness. virage is a deep mellow afro tinged tropical workout. muted guitar hook and nature sounds conjuring up far flung deserted beaches. ruf dug beefs it up a touch and moves it indoors giving it a more afterhours feel. the second track has the same evocative feel as virage with added atmospheric pads and a bouncy melody. like a closing track on an 80s road movie. full of emotion. 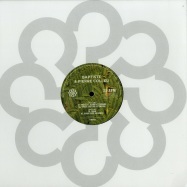 italian maestro deep 88 creates a truly authentic slice of early ninetoes deep dreamy house. perfectly wrapping the original in warm analogue drums. another quality release from iib. is it balearic? 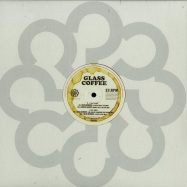 latest offering is from klik records man glass coffee. disclosures is a hypnotic slice of european deep house. laid back electric pianos and marimbas layered over a tight house groove. dance naked the second track follows the same kind of pattern upping the tempo slightly,building slowly towards a deep bass drop and arped string line. again more trademark layers. full on dancefloor action. the b-side brings one of the greatest italian house producers ever to iib. don carlos remix is really something special. a relentless subby double bass sounding b-line relentlessly underpins this delightfully atmospheric excursion into deepness. 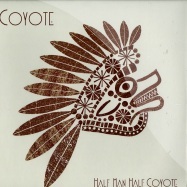 the coyote remix slows down the pace and dons its flip flops for a little tropical shuffling. iib hitting the spot again. 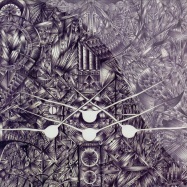 new artist daniel wainwright brings his psychedelic vibrations to is it balearic? doing it is a slow motion sleazy trip into the acid house. swirling vocals and psyched out guitars melt into chuggy acid beats and effects. 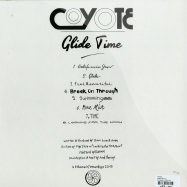 coyote up the tempo a touch and strip back the whole track on their remix. dubby vocal samples and muted guitar groove along to an acidic finale. the second remix is a real thing of beauty from mushrooms project. keeping the same slow tempo and adding space and texture with mellow guitars and extra sitar. a subtlely developing tribal workout. groovy man. iib reach their 40th release with label stalwart max essa s latest ep. 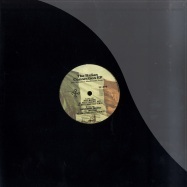 feel the machine is a protohouse groove with touches of italodisco. chugging bassline and cowbells making it a real dancer. panapolean dreamer is a more downtempo beat driven affair with eastern strings on a mellow new beat vibe. the second side starts with tall shadows walking home. again max explores the proto house sound all smothered in lovely electronic melodies. twenty types of dusk relaxes the tempo again. trademark max essa balearic. a killer ep. to celebrate 40 12inch releases. iib s latest release is an ep from the clandestino crew. 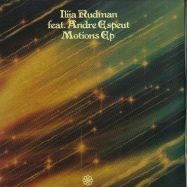 first track is a slo mo cosmic melodic acid dub. a beautiful early evening trip. this is remixed by the beat broker who adds a few sublime uplifting west coast sprinkles. the first track on the b side is a solid disco tinged house beauty with synth stabs subtle acid undertones claps and a great sample. the final track is beyond the sun. a mellow eastern tinged sundowner featuring another great sample. this ep really captures the original iib sound and philosophy. a real gem. 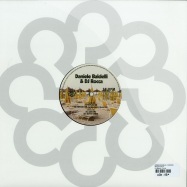 is it balearic recordings latest is the reflextion ep from baldelli & rocca. 3 electronic disco bombs and a quality remix from ray mang. rteflextion is a driving synth italo disco stomper. mr mang adds a little acid and a touch odf house. side b s first track is a classically italo disco dancefloor gem lots of symth action a flappy percussion give this a hypnotic quality ready for some smoke drenched dancefloors. out to lunch is a more quircky take on the same theme. 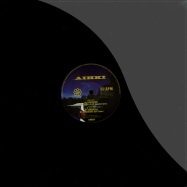 like a lost maxi 12 b-side pf an italian elctropop ftrack from the late 80 s. great ep. 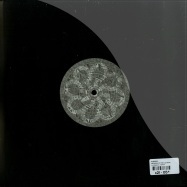 is it balearic recordings latest is the reflextion ep from baldelli & rocca. 3 electronic disco bombs and a quality remix from ray mang. reflextion is a driving synth italo disco stomper. mr mang adds a little acid and a touch odf house. side bs first track is a classically italo disco dancefloor gem lots of symth action a flappy percussion give this a hypnotic quality ready for some smoke drenched dancefloors. out to lunch is a more quircky take on the same theme. like a lost maxi 12 b-side pf an italian elctropop ftrack from the late 80s. great ep. 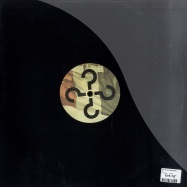 swedish artist farbror resande mac debuts on is it balearic? 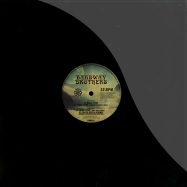 following newcastle duo last waltz first appearance on the label in april. latest iib release features the north easts version of csn last waltz. a double header, the first track just hold on is a collaboration between last waltz & smoove. heartfelt vocals over a pastoral rolling chugger, deep bassline folky guitar strumming making this a favourite at iib hq. on the remix ess o ess raise the tempo a little bring out the electric guitars and increasing the chug to almost krautrock levels. on the flip side last waltz give us tribute. a deep atmospheric acid affair. mellow electric keys and percussion lull you into a false sense of security before the heavy kick and acid bassline drop with dark cello notes. machete savane take on the remix. replacing acid for guitar and adding some machine groove this slowly builds and builds into a top bubbler. i-boat captain returns to iib with a real gem of a tune. major spam is a chugging nu kraut dub disco bomb. driving drums and relentless bassline wrapped up in swirling synths and delayed vocals. almunia beef up the tempo and the kick, adding their trademark guitar melodies. tiedye turn major spam into an big piano balearic house monster ready for some hands in the air moments. finally on the remix our friends up north last waltz create a beautiful lush disco synth chug out. the extra track on the b side poly punk is a slo mo acid treat. squelching 303 underneath a delayed picked guitar and a soaring pad. balearic acid dub style. 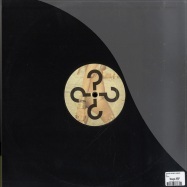 fourth release on the occasional is it balearic..? 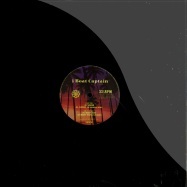 offshoot iibr remixes series, sees label bosses coyote take the almunia track meaning of time and add their trademark touches. previously only available digitally the boys create two remixes on this limited edition 10 inch vinyl. the coyote sunrise mix is sun kissed chugger, with looped vocals and layers of guitars all dancing arms aloft as the sun comes up. the coyote sunset mix pushes the synth arpeggio to the front and strips the track back to push the vocals to the front. deep soft drums take the track to an epic guitar drop. soft strings wrapping their arms round you for beautiful sunset moment. 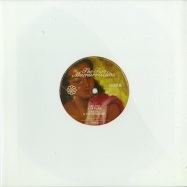 the two mamarrachos drop a limited edition 2 track 10 inch on is it balearic..? 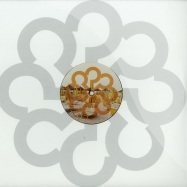 en calma is a laid-back balearic shuffler with soft drums and dreamy lead guitar. drenched in mediterranean sunshine. on the flip trip to the light is a slightly more uptempo percussive groove layered with folky strummed guitar. perfect remedy to the winter nights. play this and drift back to warmer times. played by: max essa, i love disco!, sleazy beats recordings, coyote is it balearic? is it balearic drop a 10 inch slice of acid house perfection from one of the true masters of the genre in foolish felix dickinson! *ousana* grows slowly over a driving house beat as warm synth pads and synth leads take the track along nicely with a subtle acid line until the bassline drops. a vocal refrain joins the groove seductively cooing *i want to take you home* over the acid layers that develop in deeply hypnotic fashion. straight into the basement. 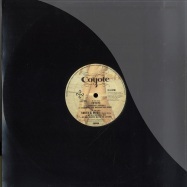 on the flip coyote take the tempo down, bring out the percussion and create a balearic acid stomper. 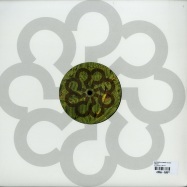 bleeps dubbed out vocals all swirl around the percussive rhythms then the acid line drops subtle and reminiscent of a certain acid house classic. early doors or at the beach bar for this mix. 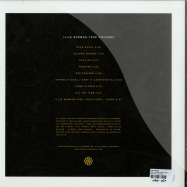 some two years in the making, glide time is the brand new studio album from is it balearic..? recordings head boys coyote. 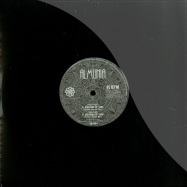 eight tracks deep, this album sees ampo and timm sure further perfect their approach to modern balearica, ambling from moments of incandescent calm such as the expansive opening track *california jam* and *feel beautiful* to euphoria inducing cuts like the chuggy *swimming* and acid tinged *break on through*. look out for the guitar playing skills of is it balearic...? stalwart max essa too. it is indeed time to glide. switch on and feel the new balearic beat at its best. is it balearic return with an absolutely superb ep from new signings saint petersburg disco spin spdsc are a collective of live musicians and djs from russia this is their debut release for iib, but a handful of tracks on labels like glenview & teardrop have made serious waves - skillfully combining live disco musicianship with the dj sensibilities which shape their sound. from club friendly and hooky dancefloor tracks to blissfully executed downtempo jams. all pulled off with a loose but pin sharp production style that really makes them stand out i never leave you leads on the a side, a steadily assembled sunset workout, with brass elements defining the groove. marwencol manages to deftly pull off a balearic wu-tang move, whil love spin is a beautifully lolloping beach bar jam, which comes complete with a very dubbed-out dub version too. 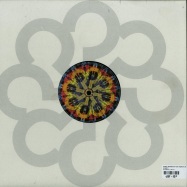 is it balearic hit their late 20s with another superb release - this time craig bratley steps up with analogue dreams. 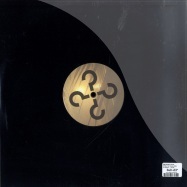 craig has earnt quite a reputation from only a handful of releases, including the weatherall favourite and classic cut >birdshell< on instruments of rapture. on analgue dreams, craig lays down a gently evolving, acid tinged piano slow burner, all mood and melody. first up on the remix we have the ever essential bonar bradberry who amps things up and takes a clonking bass riff down the disco for a real good time. on the flip crimea x pare the musical elements right down and build an epic remix from the raw ingredients, employing live percussion and shimmering synths. finally joes bakery dial down the tempo and incorporate some deft acoustic guitar and gentle moodswings alongside the musical elements of the original. this latest 12 comes courtesy of phil mison & pete herberts much lauded reverso 68 project. baa boo is exactly the kind of blissfully dreamy groove we have come to expect from this accomplished production duo, musical, melodic and tailormade for sunnier climes. on the flip we have piano 89, pretty self explanatory really, but for the benefit of those not pushing 40, its an old school house jam, drenched in the kind of italo piano hook that used to ignite late 80s dancefloors and is destined to do the same some 20 years on - magical. mania theme is a mid tempo acid chugger build for big systems and discerning dancefloors. the andrew weatherall remix adds a live bass and synth arpeggios to produce a real trademark weatherall bomb. elsewhere, toby tobias remix turns the brooding acid chugger into a sublime balearic deep house groove reminiscent of the italian house heyday and creates the same warm vibes as don carlos or last rhythm with a touch of acid for good measure. the second track from hardway bros is a reconstruction of the hardkiss track pacific coastal highway. a straight up acid groove. 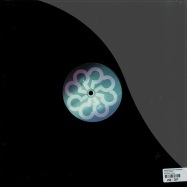 is it balearic continue a very fine run of form, with another essential 12 from newcomer aihki, featuring a great rework from canadas hottest disco export eddie c! aihki is a helsinki based duo consisting of magnus blomkvist & tuomas soppela. tuomas and magnus met one dark day at the local zoo engaging in some reindeer spotting. both magnus and tuomas had an enormous love for reindeers and folk music so they decided to form aihki. after extensive crate digging and an endless amount of guitar lessons their first ep was ready. inspired by the bright summer nights and the equally dark winters in the nordic region the sound differs a bit from the traditional balearica. besides aihki, tuomas has the estupido machine and magnus run the nerd network club nights in helsinki. another fine package from iib! somewhere between center parcs in nottingham and the white sandy perfection of formentera reside two men dedicated to the art of horizontal dancing. their mums call them ampo and timm (funny names, those notts lads), though we know them by their collective name of coyote. in their minds eye, it is still 1986 and there are leathery looking germans with alarming posing pouches dancing to simply red records on the shimmering terrace at ku club while down the road alfredo is building his legendary reputation at amnesia. apart from the clued-up few, most of the brits are billeted in san antonio where the beers are cheap and the sunburn is plentiful. 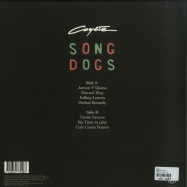 coyotes music, despite being produced in the east midlands conjures up a world of sun, sea and 80s glamour, while still sounding very much like today. the much anticipated follow up to last years balearic opus >panorama suite< by max essa. >heartache (original 86 club mix)< - this funky early nineties inspired house groove seems to be channeling all the best bits of fpi project yet manages to still sound brand new and wholeheartedly relevant. this track is heading for the dancefloor - unashamedly uplifting and funky - a real breath of fresh air. sample free and featuring max on vocals. i challenge you to not move to this. >feel it in your body< is a more chuggy, dubby affair featuring a vocal chant not dissimilar to e-man grooving. funky guitars groove the track along until the synths lift it up to the next level. trancey balearic synth slo-mo goodness. 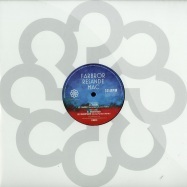 phoreski, who was the first ever remixer for iib returns to remix >electric sunburst< from the harlyn bay lp, creating a heads down dirty balearic slo-mo basement monster as only he can. 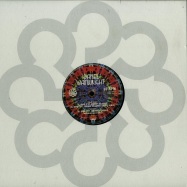 next up is tony watson from adult contempory / la who remixes >pacific breeze< adding a touch of west coast b-boy flair. peter visti takes on the not-yet-released track >childhood melody< creating an epic balearic journey starting fairly uptempo before changing gear to groove along at a more leisurely slomo speed. top quality as always. finally, and proving the boys have the jump on tomorrows stars early, the amazing & much sought after aeroplane rework of >too hard<, originally released in 2007. another all round top package. is it balearic come back from their summer holidays with a release that is showing their intentions to set the standards in the world of balearic music. 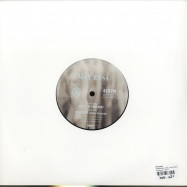 max essas latest 12inch for iib has the 20 (yes 20!) minute odyssey that is panorama suite. a sunset soundtrack of lush pads, guitars and synths that takes the listener on a super chilled balearic slo-mo disco magic carpet ride over the mediterranean. turn the page for something a little different. reminiscent of the talking heads/tom tom club 80s nyc funk boogie sound and with a killer sample - a little bit steinski ,uptown vibration is a slice of pure laidback dancefloor goodness. the man that is mark seven steps up to remix and mould the original into a (nu) dub disco classic. dancing to the vibrations through the floor indeed. thats right folks, the incredible btws remix of midlakes soft-rock favourite >roscoe< is appearing here on vinyl for the first time ever! 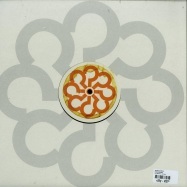 the is it balearic boys have managed to return this gem to the record stores in the shape of this beautifully packaged limited edition 10 inch release on their remix offshoot label. licensed from original label bella union for this one-off pressing, this will be your only chance to own this classic on wax! 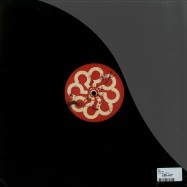 erol alkan & richard norris btws project has been at the forefront of re-defining and re-releasing many an original album and remix of pure psychedelic joy over the last few years. 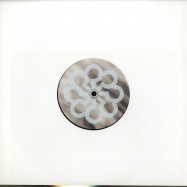 limited to 500 copies, b side contains 5 silence tacks. ladies and gents, a round of applause for max essa >2 be the one u want<. max has been behind a slew of classic releases over the years, including his recent and amazing work with the bearfunk label in collaboration with owner and international disco svengali stevie kotey. max is a true soldier of the balearic cause, the isit boys are more than pleased to have him at the helm of their tenth outing. 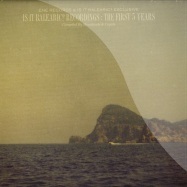 is it balearic return with their most eagerly anticipated release yet! 2016 sees coyote arrive at a decade of posing the question is it balearic? 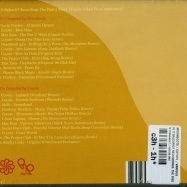 replicating the compilation shaped celebrations surrounding their fifth anniversary, the landmark is noted with this fine 2cd collection. the compiling skills of balearic chieftain max essa are called on for the first disc selections, with coyote taking care of business on the second for a fine horizontally-minded celebration of all things balearic encompassing 22 tracks. tempos nudge back and forth, different vibes coming to the fore along the way as a dash of steel drum is replaced by forthright synth glistens and upright basslines. legends mingle alongside future heroes, foolish felix and baldelli impressing as much as last waltz and clandestino. as the end nears, up pops prins thomas s classic diskomiks of downtown party network. here s to another ten years is it balearic? after teaming up with ene on the journey ep and a backwoods remix in 2010 it seemed like a perfect match to get together on the 5 year anniversary cd. chida has always been a big supporter of coyote and iib having had them over to tokyo a couple of times.